Errorless learning is the PERFECT way to introduce your learners to file folder tasks, independent work, and specific skills! 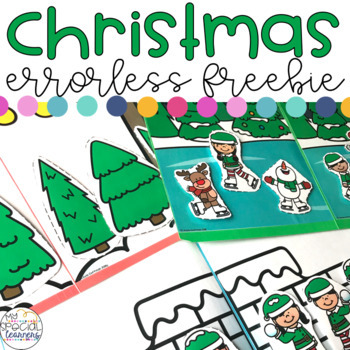 This errorless Christmas resource is a great way to involve your lower level learners during the holiday season. This resource is for use with either students in an early childhood setting such as Pre-K or Kindergarten, or in a special education setting. In my classroom, I use these file folder tasks with my special learners during their structured independent time. These are all tasks that they are able to complete on their own and have already mastered in a 1:1 work setting.